HOUSTON – The Houston Health Department encourages those with pre-diabetes or type 2 diabetes to become a member of the Diabetes Awareness & Wellness Network (DAWN) this November, National Diabetes Awareness Month. DAWN is a free community-based diabetes education program focused on developing diabetes self-management skills. It helps Houstonians diagnosed with pre-diabetes or type 2 diabetes get the tools and support necessary to live a healthy life. The Third Ward Multi-Service Center houses the DAWN Center, where members can learn and practice various aspects of diabetes self-management, all at one location. Members have the benefits of working with a nutritionist and them taking a group coking class in the same place. DAWN also offers physical activity classes and allows members to utilize its fitness facilities. “Putting education and practice in the same space for a wide range of core self-management skills allows us to establish a powerful way for the community to better manage their own health,” Umemba continued. DAWN serves an average of 125 members per month. Members who qualify for the program have access to professional staff, ranging from certified diabetes educators to fitness trainers. DAWN also offers chronic disease self-management classes and a diabetes prevention program. In addition to the DAWN Center, services are also provided at other city multi-service centers and partner organizations through a mobile unit. 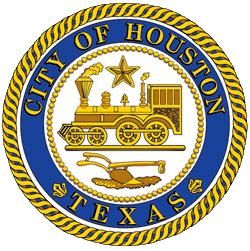 Houstonians can qualify for membership if they are 18 or older, reside in the city of Houston and are at-risk, pre-diabetic or a caregiver. Physicians may also make referrals to the program. To find out more or register for DAWN, call 832-393-4055 or visit houstonhealth.org. Individuals who do not manage their diabetes could have serious health implications that could lead to kidney failure, blindness and other health issues.